This post is in partnership with Peter Manning. Clothes designed for the not-so-tall guy. Click here to experience the difference proper fit makes and save 20% off your first order with ‘primer1118'! One of the hardest times of year to dress for is when it's 100 degrees outside. Second only to that is probably…right now. Much of the country wakes up when it's 40 degrees then only a few hours later finds themselves in 70-80 degree weather. If you wear a cable knit sweater and a heavy, puffy coat you're nice and warm in the morning and sweltering by noon. If you dress for noon, you're miserable and freezing in the morning. The solution isn't to dress for either-or, it's dressing for both. But how do you dress well for both 40 degrees and 90 degrees? Lighter layers, and more of them. This Getup provides textbook examples of a few things. 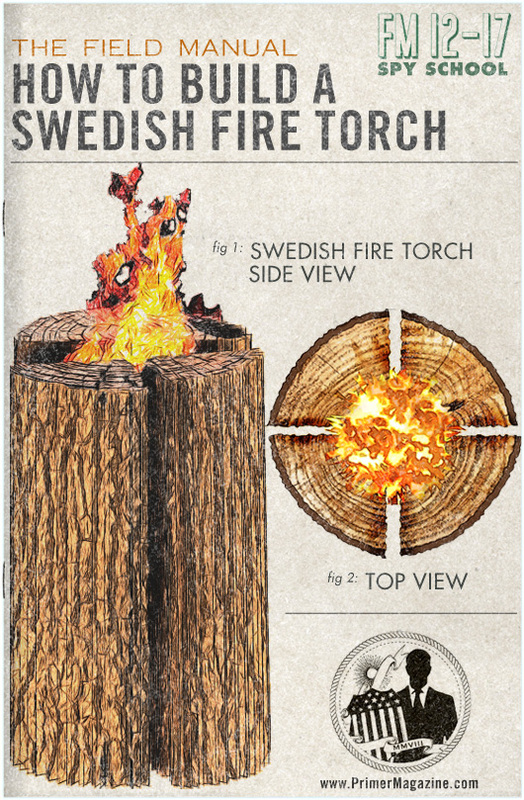 First, lighter or thinner doesn't only mean spring and summer. Come April, retailers begin pushing ‘spring jackets' – the usual parkas, fleeces, and anoraks. They're spring jackets because they keep you dry without overheating you. But that's a pretty limiting, surface-level use for them. It's true on their own they would be inadequate in fighting more winter-y weather. On their own. When teamed up with other light layers they prove to be even more powerful than a puffy, heavy winter jacket on its own – Like a sartorial Avengers. 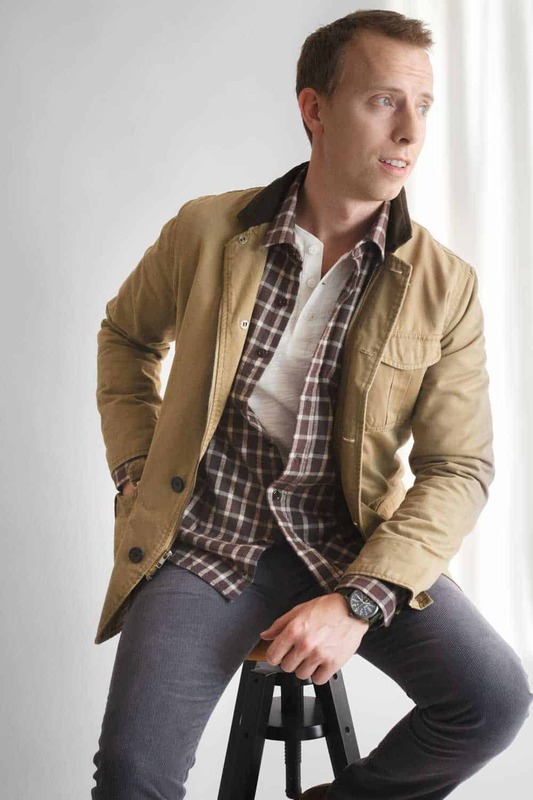 Take for example, this Tribeca Field Jacket. If you’re a regular reader, you’ll remember seeing this a few times over the years. 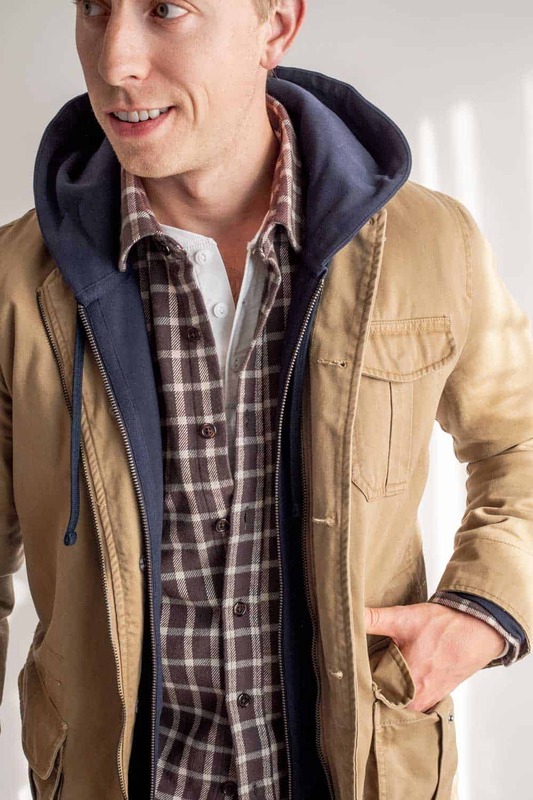 The tan color, material, and classic design make it one of those few jackets that look sharp when keeping you warm on your way to a corporate work event, just as it does if you’re out of the office and working in the field. An internal elastic drawstring guarantees a tailored silhouette by allowing you to reduce unneeded bulk on the fly, depending on how many layers you’re wearing. A thin flannel lining manages temperature without extra thickness. Another thing this look proves? Yes, you can wear a hoodie and not feel like you’re poorly dressed. Sweatshirts have gotten a bum rap from those who encourage men to try harder and take better pride in their appearance. It’s true that many a lazy man turns to a sweatshirt as a default temperature-regulating outer layer. But that doesn’t mean the intentional man, the one who understands the power and importance that controlling his appearance provides, can’t also wear them. Here, the super soft and lined navy hoodie adds a pop of color, but more importantly, an easily removed layer. It’s also a clear example of how a single item can drastically alter the dressiness of an outfit. With the hoodie? 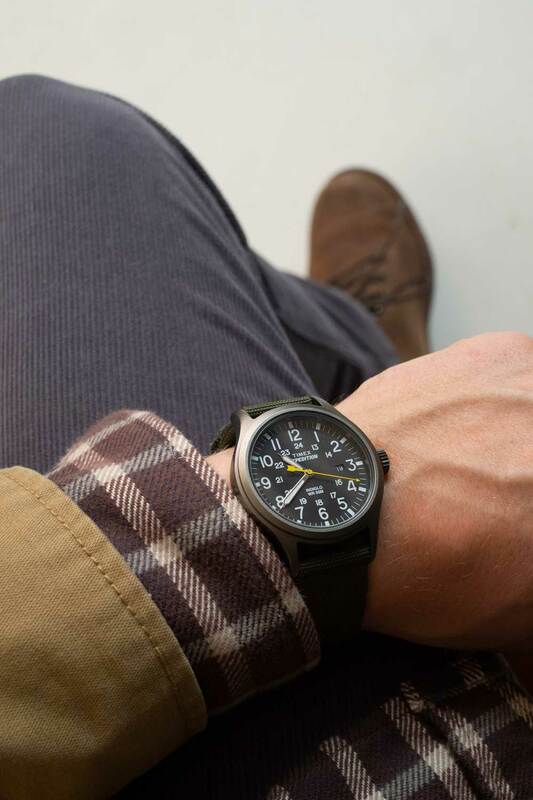 A rugged casual outfit comprised of classic fall and winter items. Without the hoodie? An outfit most men could wear to a smart casual office, evening out with friends or a casual date, or a family holiday dinner at a relative’s house. 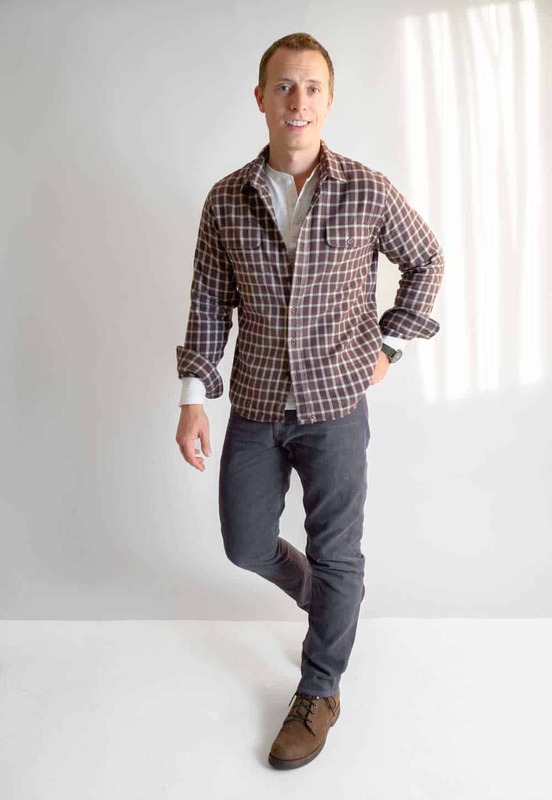 Text Book Lesson #3: Flannel doesn’t have to look like a lumberjack costume. I was excited to introduce this reddish-brown flannel into my arsenal because, while I love me a buffalo plaid, it can be a bold statement. This subtle pattern of red, charcoal, and cream is handsome regardless of how dressed up you want to be or whether your personal style is rugged or street, preppy or minimalist. Corduroy pants are a bit surprising to me. Nobody seems to have a problem with them but they’re often left out of the list of pant options. Jeans, twill pants, chinos, dress pants. But corduroys offer an alternative that doesn’t make a statement. They’re not inherently more dressy than jeans or chinos. They’re time-tested cooler weather wear, so they’re not fashion forward. Not only are they comfortable and viable, they add another important quality that is essential to upping your style: Texture. Outside of a pair of wool flannel trousers, men don’t get a lot of opportunities to include texture in the bottom half. A fine wale corduroy accomplishes just that, without being aggressive enough that you’d need to consider counter-balancing it up top. And the final layer: the white henley. Swapping your base layer t-shirt for a henley is one of the single, easiest upgrades you can make to a look. The henley button placket complements the unbuttoned shirt placket. 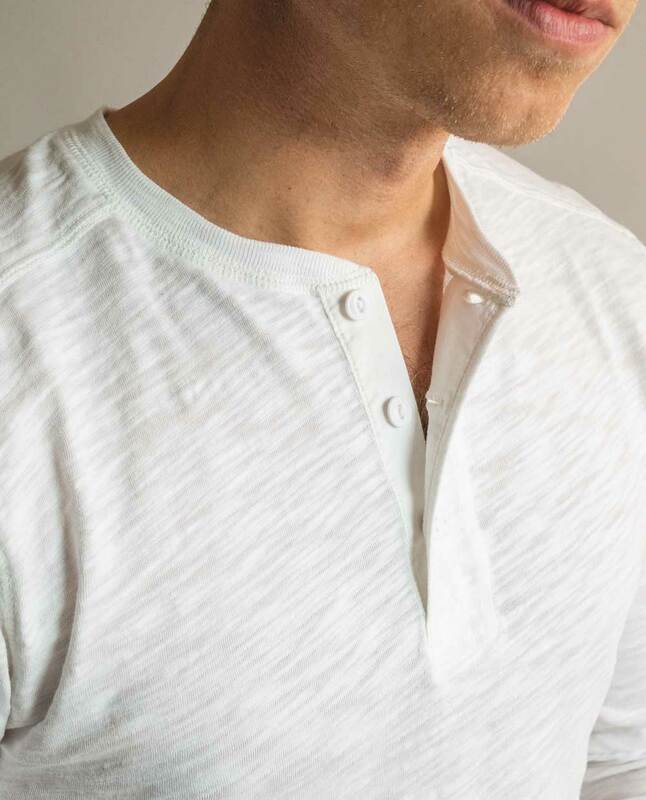 The wonderfully textured slub cotton of this henley makes it a standout worn on its own or as a layer. All of these items come from Peter Manning, a brand tackling a big problem in the men’s retail world. You can probably list 3 household name stores that cater to the unique sizing challenges of men who are some combination of taller height and wider girth that mainstream stores don’t offer. But where are guys supposed to go if they’re looking for a waist or inseam below a 30 or properly proportioned sleeves and lapel widths for smaller torsos? Humans come in all sorts of shapes. And it’s not like brands don’t know this or can’t accommodate it: Walk into any women’s clothing store and you’ll find whole sections for petites, juniors, plus sizes, maternity, petite plus sizes. The men’s section? Four standardized shirt sizes and half of them are sold out for anything good. What gives? Peter Manning offers an alternative for classic items with modern touches and fits for any guy of any shape under 6’. I’m 5’11” a perfectly average height but with a short inseam and a preference for quarter to half break in my pants makes finding the perfect pants a challenge. A thin but athletic torso needs items that can fit my shoulders and arm width without 9 extra miles of shirt length. With a custom sizing system that can help dress men starting at 5’1” and 105 lbs on up to 5’11”, men finally have access to stylish items not based on the average height and width of the entire American population. Primer readers save 20% off their first order with PRIMER1118! I'll be in the comments, come chat! Andrew, can I just say your style matches mine exactly and I’m always excited when a new one of these comes out. Thanks Jake! 😀What kinds of things do you go for? It’s a great look on you. A bit too rustic and soft for me to pull it off this time of year tho when I’m more indoors at holiday parties and bars in the city. But I recognize other worlds may vary. This getup also works more with your coloring than it ever could with mine. I do like the olive version of the jacket. Solid price too. Thanks Jim! I agree I really like the olive jacket also. Andrew, If you don’t mind me asking what are your measurements for inseam and sleeve/back length on shirts? I haven’t tried Peter Manning but seems worth a try given I run into the same issues you referenced. Hey Daniel! My preferred inseam is about 29.5″ depending on what kind of look I’m going for. I’ll have to double-check the shirt measurement. Are the in-person photos more accurate to the color of the jacket? The product photo looks much darker/saturated. Yep! The photos of me wearing it are accurate. I just held up my phone to the jacket to triple-confirm. Thank you for this post Andrew! I love the look but I’m also going to take this opportunity to bring to light one of the biggest frustrations I have with clothes and fit these days and this post is perfect to address this issue. This may be my personal preference and might go against the trend of tighter and smaller fitting clothes that seems to be the ‘it thing’ to do now A days but I firmly believe the core principles of fit and fashion still are relivent today. The main issue that frustrates me is the fit of the flannel or any button up shirt. More than any other article of clothing these days I find the fit and cut of the button up shirt (especially casual ones) are so inconsistent and, in fact, trending in the wrong direction. The main issue is the torso length of these shirts. I notice the front and back tails hit higher on the body in these photos and on most clothing sites photos. If that, in my mind, wasn’t bad enough the sides of the shirt where the hem curves up and hits higher on the body consistently shows with pocket, belt, or worst of all skin or underwear band. These shirts ARE made too short in the torso and there is not justifying these cuts or fit because we all know the true function of a button up shirt should never show skin or stomach when you raise your arms. This ‘trend’ needs to change. I’m only 5’10” and have found that medium tall button ups have to be purchase in order to fit how a shirt should fit after the was. I’ve learned to appreciate the in between length of the old navy signature button ups that have the look of a dress shirt but not the extreme “must tuck in” length that most dress shirts have. I’d be very grateful for any response or insight that you have on this issue Andrew and welcome any other readers to weigh in on this. Does anyone else have experiences like I have had? Thanks for listening and keep up the great work! I wore a really similar look to this a few days ago. The Henley/ plaid shirt is such a good combo in the colder months. Add and re layer If needed and topping it off with boots always makes a good look.